The Mary Tyler Moore Show was an American TV sitcom created by James L. Brooks and Allan Burns that aired on CBS from 1970 to 1977. It finished with 168 episodes. The show was revolutionary for its time because it was the first show to focus on a single woman who did not rely or seek to rely on a man in order to support her. Mary Richards was young, not widowed or divorced. She is a thirty something who chose to break off a two-year engagement and live a life for herself in Minneapolis. 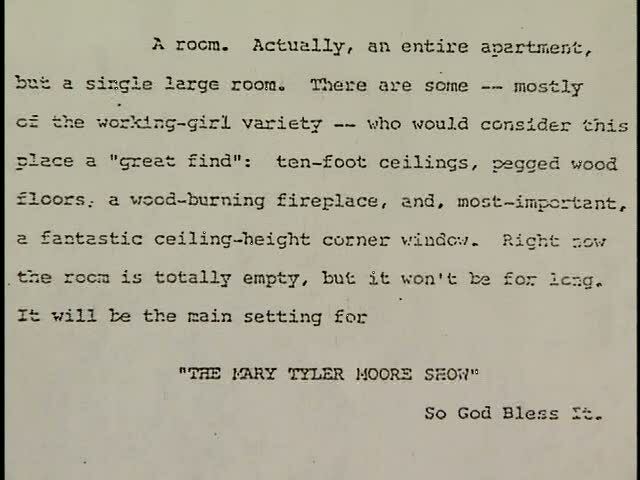 My friend Andrew Springer who works for ABC News’ Good Morning America and who also convinced me to write this post, explains, “Mary Tyler Moore was the first sitcom to chronicle the life of the modern, independent woman. Up until Mary, TV’s leading lady was the raucous Lucy–goofy, physical, and always reliant on her husband. Moore was the opposite: intelligent, witty and single.” Springer also explained to me that through the 1970’s network censors wouldn’t allow death on sitcoms until an episode of Mary Tyler Moore entitled “Chuckles Bites the Dust”. Chuckles, WJM’s in-house clown, was the first person to die in a primetime sitcom (the unfortunate victim of a hungry circus elephant when the clown was dressed as a peanut). This episode also garnered MTM an Emmy win. 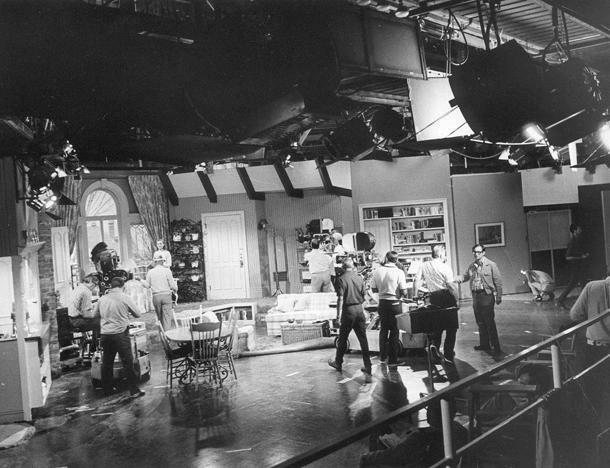 Because of Mary’s character’s budget restraints, much of the apartment was meant to be curated via thrift shop finds: victorian chairs, an industrial sign “M” letter, a country French lavabo plaque, wall mounted jewelry racks, empty glass bottles, second-hand plates, wicker chairs, pumpkin-shaped cookie jars, space age lamps. The amalgam of accessories and various accoutrements were meant to represent Mary’s personality, taking inspiration from Provincial France, Modernism, Futuristic styles, Victorian cabinetry, and other “academic” era. Mary was smart, she had a good eye, and the decor was meant to complete her character’s whimsical, kind, and multifaceted personality. This attention to set and the dedicated to character realism was seminal. As a foil, Mary’s best friend and upstairs neighbor, Rhoda Morgenstern. 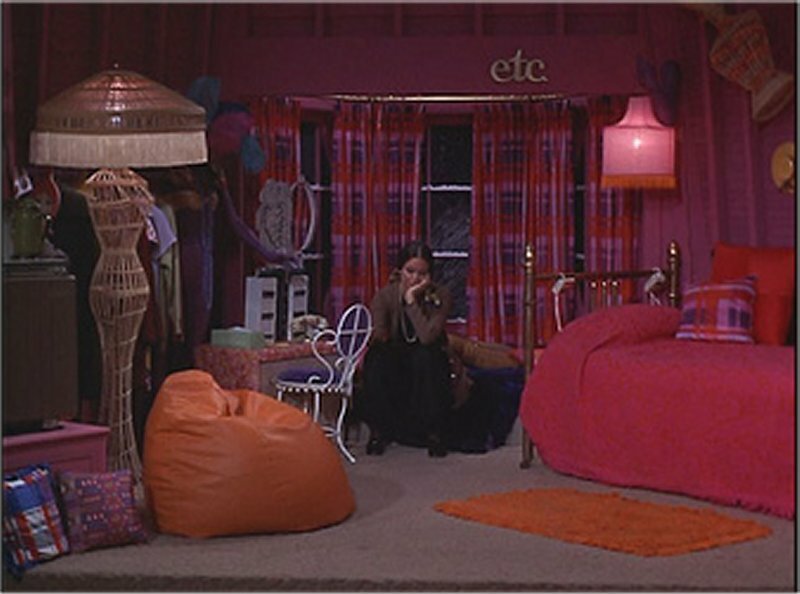 Rhoda was a super artsy, wise cracking, window dresser from New York City. She was raunchy, sardonic, and dated often. Valerier Harper won four Primetime Emmy Awards for her portrayal of Rhoda, with three of these awards for The Mary Tyler Moore Show and one for Rhoda. Please not the amazing “etc.” sign in the upper right hand corner. 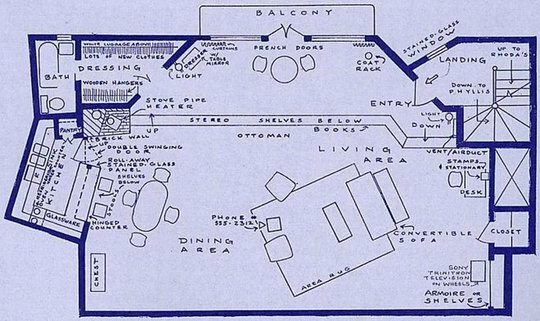 In a way, Rhoda’s personality and apartment were complete opposites from Mary’s. Bright, bold, slightly ethnic, and hippy-dippy. I am personally more of a Rhoda! 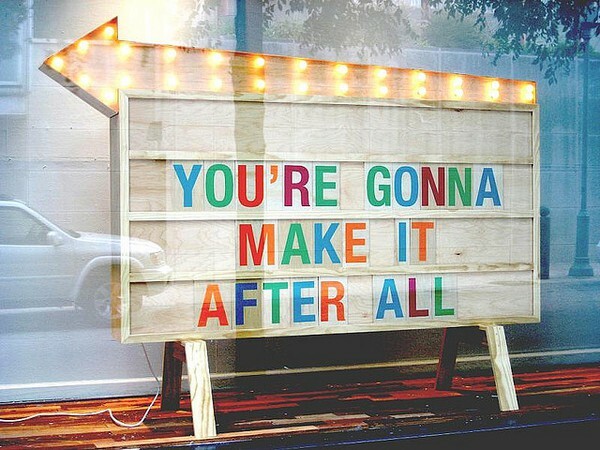 (Here). Who’s apartment would you live in? Are you a Mary or a Rhoda?